The most popular super hero character of the Golden Age was Captain Marvel (aka Shazam! ), who out-sold Superman and Batman by millions. But it didn’t last; by the early 50s, sales of superhero comics overall had declined sharply, and Fawcett Comics, the publishers of Captain Marvel, had gotten embroiled in a complicated copyright-infringement lawsuit with National Comics (later DC Comics), who claimed the Captain Marvel character was a knock-off of Superman. Eventually, the case was settled in DC’s favor, and Fawcett closed up shop; its stable of characters — including Captain Marvel, the Marvel Family, and all their villains, along with others like Bulletman and Ibis The Invincible — were licenced to DC and absorbed into its continuity. But what if things had gone differently? What if Fawcett had stayed independent of and more popular than DC, and its universe had continued to develop into modern times, with multiple re-boots and re-interpretations of its core characters, just as DC and Marvel did in the real world? 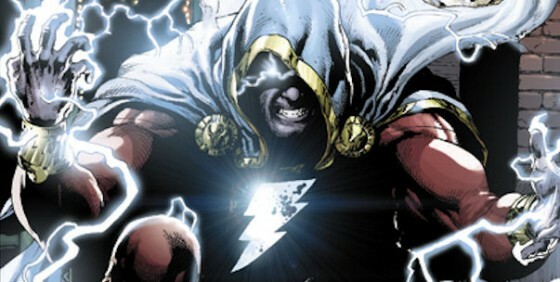 In other words, what if the Shazam-verse had never become part of DC’s continuity, and had instead eventually eclipsed it? What if Superman, Batman, and Wonder Woman had faded into obscurity, and Fawcett Comics’ family of heroes and villains had become the industry standard? 1) Most truly superhuman characters have powers of a magical or occult origin. 2) Super-science characters are considerably rarer, and are often villains (example: Dr. Sivana, who may or may not have been the inspiration for DC’s Lex Luthor); though Bulletman is arguably an exception. 3) Super-skilled “normal” humans like Mr. Scarlet, Spy Smasher, and The Golden Arrow, were a majority the first generation of costumed heroes, and have thus either retired or passed their mantles to younger successors by the time the campaign begins. The setting, as I continue to develop it, is system-neutral. Sadly, I never played any of the old-school supers RPGs, and thus don’t have a “go-to” system for this kind of thing. I’m familiar with more modern games like Mutants & Masterminds, Wild Talents/Godlike, and GURPS Supers. Of course, I’ve heard of older games like Champions, Superworld, and Villains & Vigilantes, but my knowledge of their rules is limited. I always found Captain Marvel a more interesting character than Superman, anyway. I will enjoy designing a setting around him and the concepts related to him. This entry was posted in General Remarks and tagged Alternate Shazam-verse, Homebrew Settings, In Thunder's Wake, Supers RPGs. Bookmark the permalink. Count me in,what do I have to do?,and which system will be used?